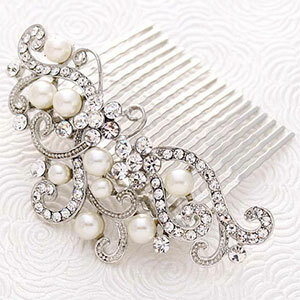 Pearl and Crystal Veil Comb. 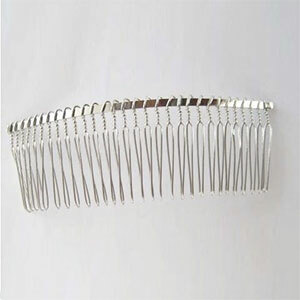 3″ w x 2″ h. Light ivory or white pearls. 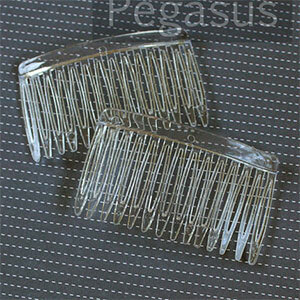 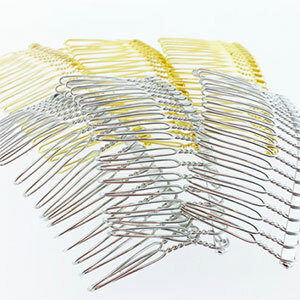 Two 3″ Metal Combs. 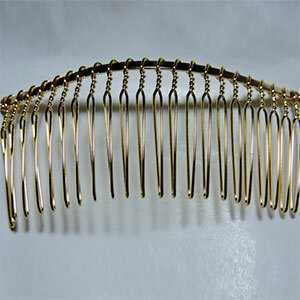 Choose from gold, silver, gunmetal.